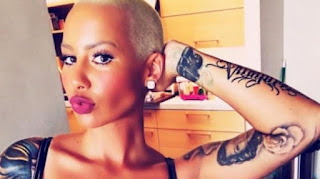 During the All Def Digital Awards on Wednesday (February 22nd), Amber Rose made a huge announcement saying, "Do y'all know Ace of Diamonds? Well, I bought it." She continued to highlight the procurement of the popular Los Angeles gentlemen's club, saying,"So this is to every girl out there. Every stripper, y'all can one day be on stage with Russell Simmons, receiving an award." According to SKWS Enterprises, the current owners of the celebrity hotspot say Rose's claim is "unequivocally false". The owners filed a lawsuit against the former VH1 Talk Show Host for slander and are seeking to recover one million dollars in damages for the alleged false claims.